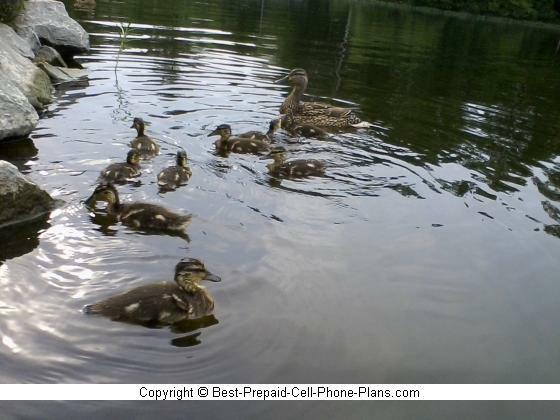 Okay, I wasn’t going to review the Net10 Samsung S275g or any other basic phones until I had reviewed at least a few more smart phones because that’s what everyone wants, but fate got in the way. While testing other phones, I somehow ended up with an old LG 300g as my primary phone. It was on the pay as you go plan as well. Suddenly it started dropping calls – perhaps I dropped it once too often, who knows. Switching to one of their smart phones would have meant giving up the 700 minutes of airtime I had. 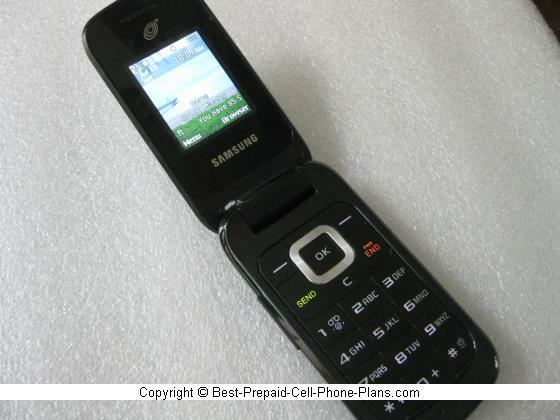 So I grabbed the basic Samsung S275g flip phone instead, and let me tell you I love it! 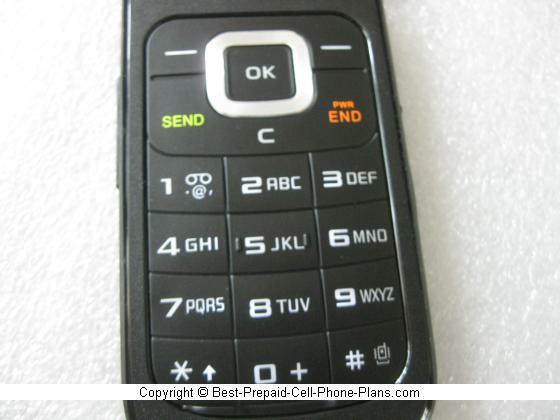 Because despite a lack of fancy features it’s got great reception like their other crappy flip phones. I am able to make calls from anywhere in the house, including the basement as well as out in town. Secondly, I was actually able to transfer all my contacts via Bluetooth from a Samsung Galaxy Precedent (my phone previous to the basic 300g). I had to add a couple of names that were only on the LG phone which has no Bluetooth, but other than that I was all set, and actually had all my old contacts back! Here are some additional features that round out this review. The Net10 Samsung S275g is a 3G phone, but don’t think about doing much with the browser. 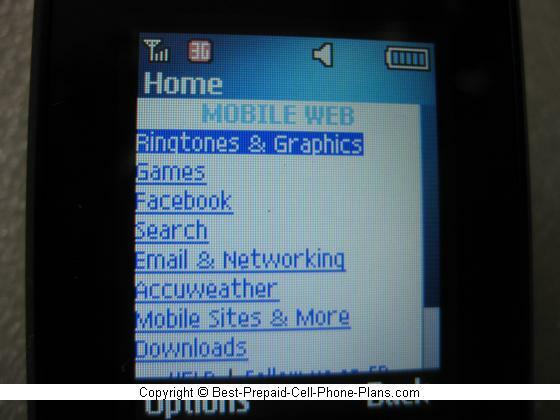 Web browsing stinks on this phone. I used up about two and a half minutes trying to check the Accuweather site that’s linked from this phones home page, only to get “Page may be too large” warnings. Personally, I don't care about this. If you do, you might want to consider the NET10 version for the S390G. 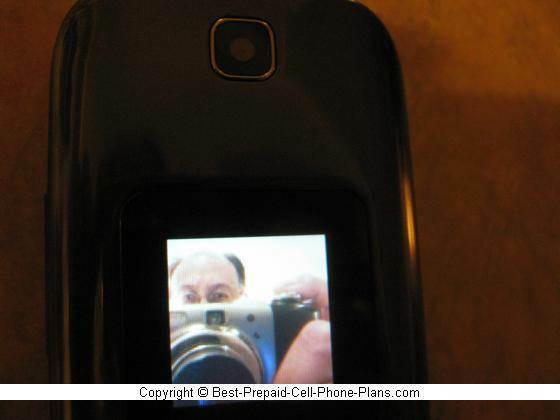 This phone has a 1.3 megapixel camera that takes up to 1280 x 960 resolution images. 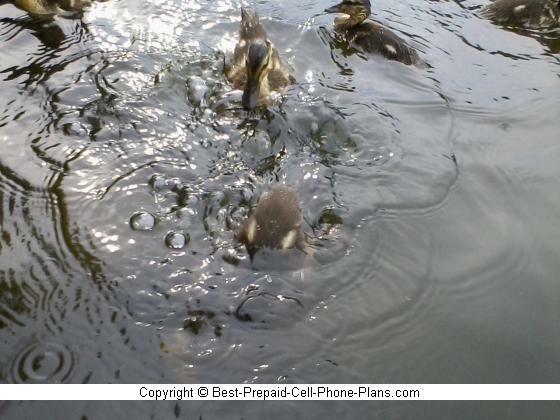 I got a chance to test it out on some ducks during an unsuccessful late afternoon bit of fishing. The light wasn’t that great, but the photos came out pretty well, I thought. As usual it’s better to have an okay camera on the occasion than to have no camera at all. I accidentally discovered that, when the phone is closed, the side camera button still turns on the camera and the external screen acts as the viewfinder. So you can take individual or group self-portraits. I think that's pretty cool. Sorry about the creepy-looking photo. You can also take short 320 x 240 resolution videos. They have to be short because you have to store them on the phone’s internal memory as there’s no facility for a external memory card. You have about 120 MB available for all your audio, photos, videos, ringtones, games, files etc. In addition to transferring my contacts, I was able to quickly transfer the photos above to my computer via a Bluetooth connection. So I have been able to easily pair the Net10 Samsung S275g with both my computer and a Samsung smartphone with no problems. You can run Java games and apps on this phone, however, none are pre-installed. As usual, you can buy them from NET10 or download them from ones from one of the various site. Okay, the best you can say about its physical features is that it’s a sturdy flip phone with a service-able main screen and a tiny external screen. Still the dialing font is nice and big and orange (though you can change that). The volume on the ringer is plenty loud and the vibrate mode packs a punch as well. I've only had it for a couple of days, but battery life seems pretty good even though it’s a 3G phone as there’s not much for the phone to do. The screen shuts down completely during a call as it’s not necessary. You can turn it back on by touching one of the keys. I have noticed that when charging the phone, it seems to take a bit longer before it says it's fully charged. Also, when the phone is on, there is no indicator (suchs as a blinking battery level) that the charger is plugged in, you just have to trust it. If the phone is off when the charger is plugged in, the charging indicator does appear. 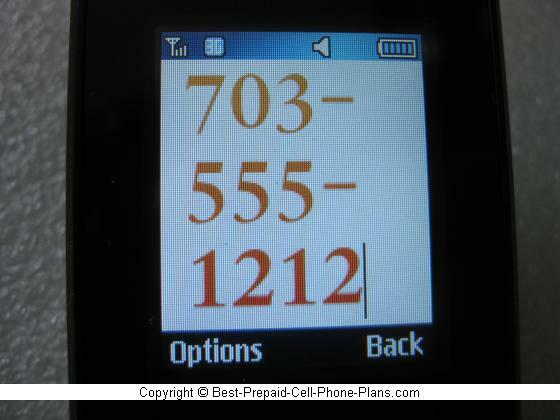 All the usual tools are there: stopwatch and timer, calculator and calendar, and voice recognition. The calendar is accessible via the "C" button. 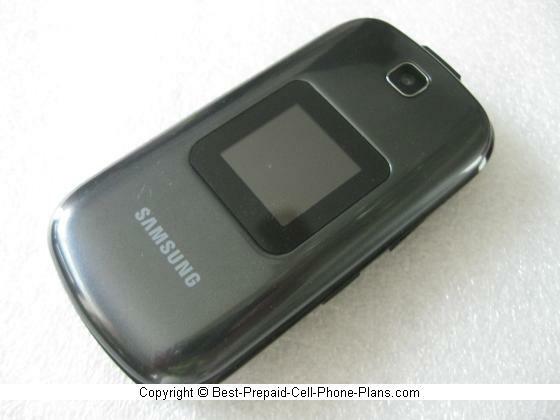 Well, I got my Net10 Samsung S275G because I needed a cheap phone so that I could use up my minutes. However, I am happy with it and looking forward to haranguing people over the phone over the next few days!